Heeft u een vraag voor Everest Inn Guest House? 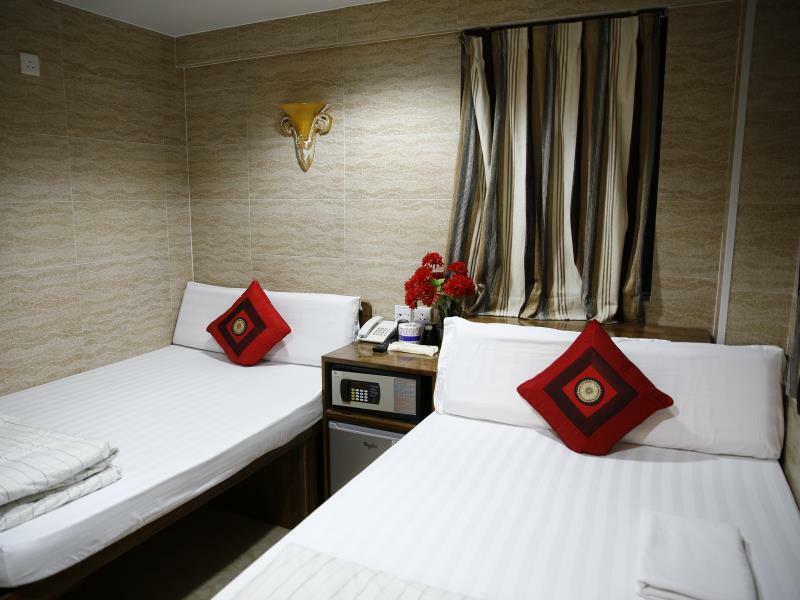 Everest Inn Guest House in Tsim Sha Tsui, Hong Kong is een populaire keuze onder reizigers. Gelegen op 0.1 km van het hart van de stad, bevindt dit 1-sterren hotel zich op een excellente locatie met de grootste attracties binnen handbereik. Dankzij de praktische locatie liggen alle belangrijke trekpleisters in de buurt van het hotel. 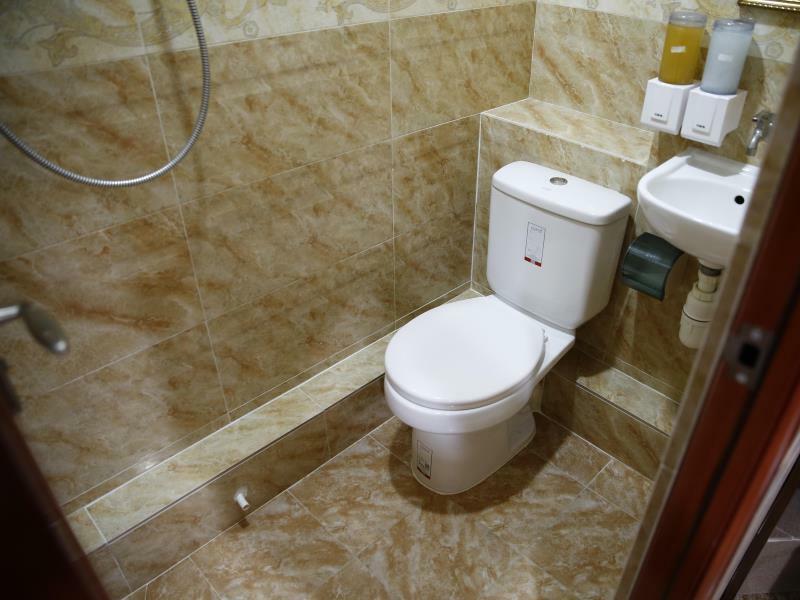 Het Everest Inn Guest House biedt tevens vele faciliteiten om uw verblijf in Hong Kong zo aangenaam mogelijk te maken. Gasten kunnen gebruikmaken van hotelfaciliteiten als 24-uur roomservice, gratis wi-fi in alle kamers, 24-uur receptie, bagageopslag, wi-fi in openbare ruimtes. 6 kamers, verspreid over 8 verdiepingen, bieden een warme en plezierige atmosfeer met modern comfort zoals plasma tv, draadloos internet (gratis), rookvrije kamers, airconditioning, extra lange bedden (> 2 meter). Daarnaast garanderen de talrijke recreatieve mogelijkheden dat u zich tijdens uw verblijf kunt vermaken in het hotel. Geniet van ongeëvenaarde dienstverlening en de prestigieuze uitstraling van het Everest Inn Guest House. Got a problem with the safe locked when check-in. Called the first time and he did not come to help. Called 2nd time he said his staff is having dinner and he will come afterwards with a no-good atitude. No one had ever come afterwards. Quite a bad experience for that. The cleaning lady are very helpful and nice though. Not highly recommended but its consider better than some others in the same building. it's located in tsim sha tsui, around 5 min from MTR station. The staff is helpful, we contacted them prior to our trip and they replied very fast. It's an apartment room that was modified. Small but still comfortable for sleeping. There are so many shops on lower floors including Indian restaurants. The only problem is the elevator, it's very tiny with small capacity. It can only goes down, so if you need to go up to the receptionist, you have to go down first then ride up again. As all should have expected, a small room but suffice for sleeping and shower. Able to accommodate two big luggage without any problem as you can slide in under the bottom of the bed. The bed is raised abit so you could put your belonging under it. Towels are old and can have some stains and similarly for bed sheet, blanket and such. If you are not fussy, it is ok. In our stay, the line up to the elevator for this block is around 10 to 15mins depending the time of the day and also luck. Block D has a relatively shorter queue compare to Block A hotels. We booked the three single-bed room. 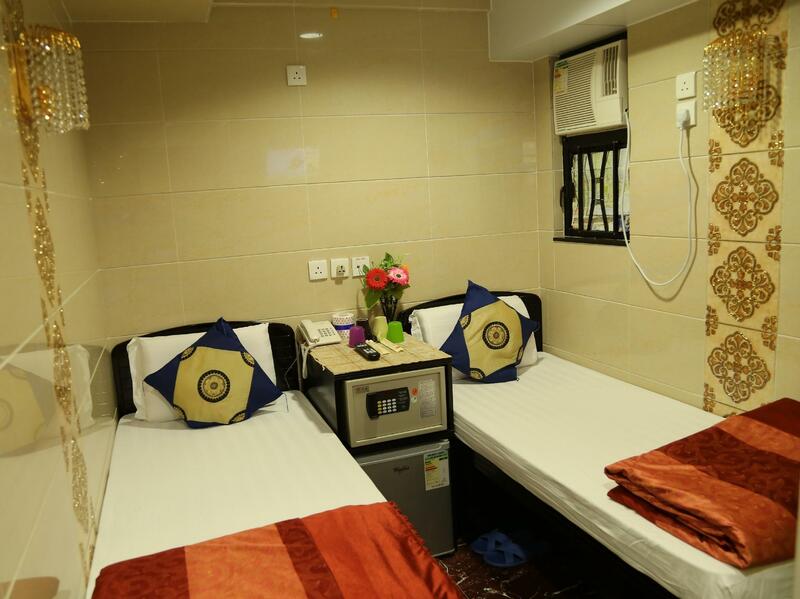 Although room is quite small, still good for its price and location. Just 7mins walk to Victoria Harbor. Filipino caretakers are very accommodating. 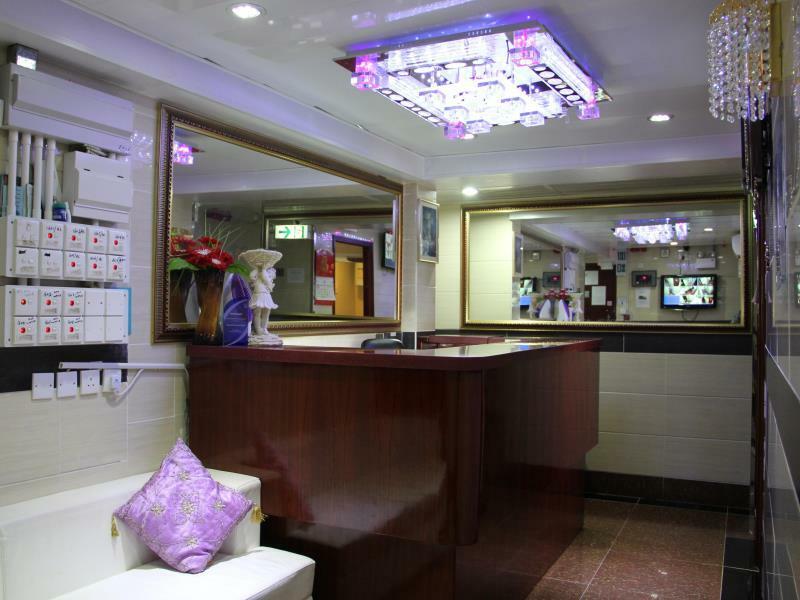 Chunking Mansion, where Everest Inn is situated, is strategically located to MTR and cheap dining/stores. 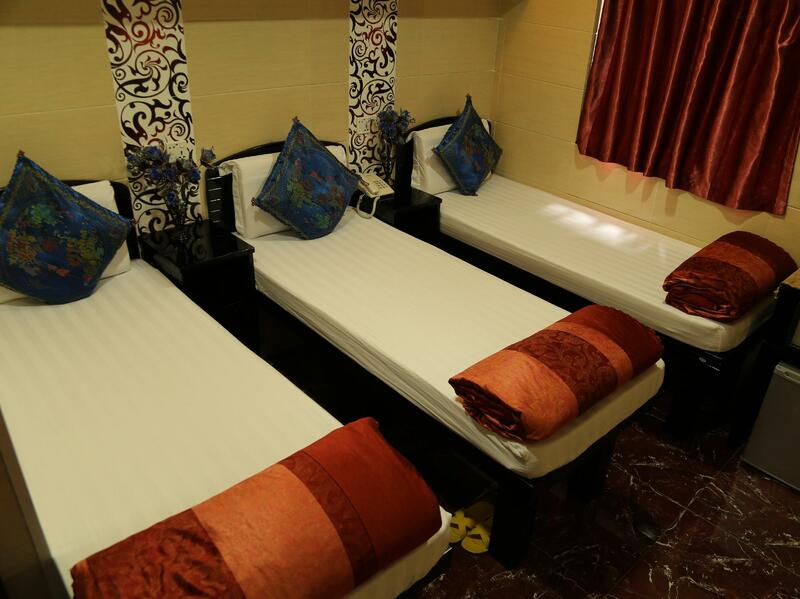 Will definitely recommend this guesthouse for budget travelers. The room itself wasn't bad, small but what you need and reasonably clean. You get what you pay for, but this building is awful and would not suggest anyone stay in any of the hotels/hostels there if they can afford somewhere better. Single tiny slow elevator serving half the floors in your block, you will often have to wait half an hour if you are lucky. The hallways and stairwells smell terrible and fairly certain there are signs about mouse traps and extermination everywhere. Hotel staff was fine, but one night my A/C broke so that it made a huge amount of noise but it's way too hot in the upper floors of this building to sleep without it. The hotel said they were full that night and did nothing. Agoda did nothing to help either, offered me a tiny little gift card worth 10% of what I payed. Basically could not sleep one night. The location of this place is good, and the building is horrible and roomed cramped so the best thing is that you'll want to go out. Room was not great, very small, but in comparison with other guesthouses in that building it was okay. Not very clean. But be aware of the building in general and the people there! As a girl I would NEVER go there alone. 1. I set my check in time to 6 P.M. and Everest responded OK. When I was there at 10 P.M., Everest said that my room was "OCCUPIED BY" the previous customers. Everest took me another 30 minutes to wait for the clean room. 2. When I arrived the room, it is not the one I booked and confirmed. Everest just took ten minutes to clean up another room to let me stay there. The toilet, the bed and the floor is really disgusting. The cockroaches are everywhere. 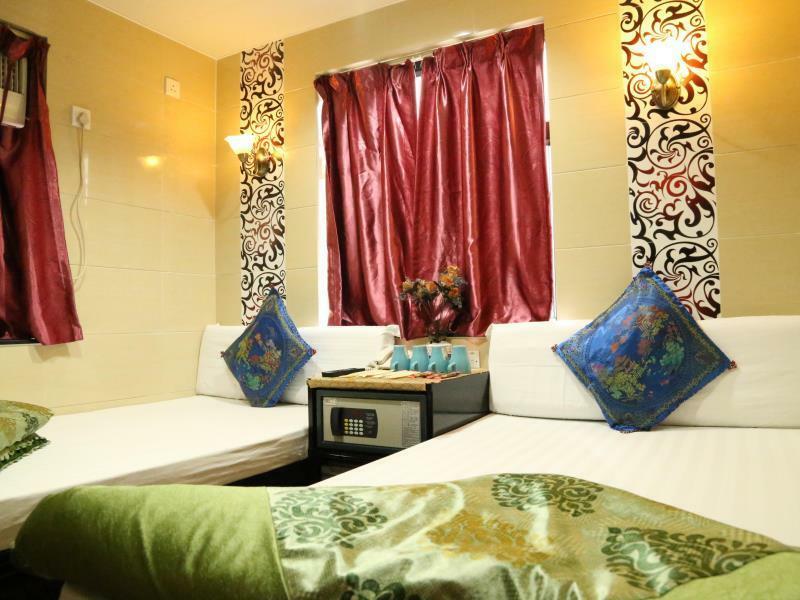 If you look for cheap guesthouse this must be for you. Chungking Mansion is the center of All. But there are alot of Indians downstairs and scary to look. Overall our stayed here was good. But I prefer in Mirador Mansion less people there. The staffs were all excellent especially most of them are Filipinos and they are really hospitable and kind. I remember the time when we run out of batteries in our powerbanks and Ate Nancy let us borrow her charger in the middle of the night when she was about to sleep. Also Kuya Ronnie. Everything is superb in this Inn and I highly recommend this to travelers who'll just leave their bags and explore all day. The room is so small but we only use the room for sleeping and taking a bath and for our things. So its not a big deal. The elevator, you will wait for eternity. The place is near to MTR AND SHOPPING MALLS AND MONEY CHANGER. Location: The location of the building (Chungqing Mansion) is very strategic because it's near the mtr, several shops, restaurants, and a mall. BUT the location of the hostel itself in the building isn't. It's on the 16th floor, and our room will be at another floor. The queue on the elevator is very long (aprx 15 mins wait). Unlike the elevator at Mirador mansion which serves odd / even floors. Cleanliness: The room was normal clean, but not very clean. Maybe because it's quite old and unmaintained. Staff: I just noticed that hospitality in HK is not the best in the world. So, I think it's normal. Facilities: Surprisingly, the room has a dental kit. It's got towels and body wash. No shampoo. The hostel overall doesn't have other facilities. Will I recommend it? Because of the floor and elevator issue, nope. A cheap priced hotel, the rooms are not too big but this is generally the case in hk. They do „seem“ to clean the room every day but in the end just changing the towels, so that we ended up having no toilet paper for a while. So it seems that mostly only on request something happens. The location of the hotel is quite good, even though a local would tell you not to get a room in chungkin mansions. So if you are travelling on a budget cleanliness etc. is not too important for you then surely you can choose it, otherwise there are better options. From inside out.. The room is just OK. The toilet is just OK. The air condition is fine, but TOO LOUD. The elevators are TOO SMALL & NOT ENOUGH FOR TOURISTS AND PEOPLE WHO LIVING IN THERE. This Guest House is very easy to go anywhere around.